If you've ever drafted an overly long text to someone and decided against sending it, then you'll probably hear something of yourself in SASAMI, out March 2019 on Domino. 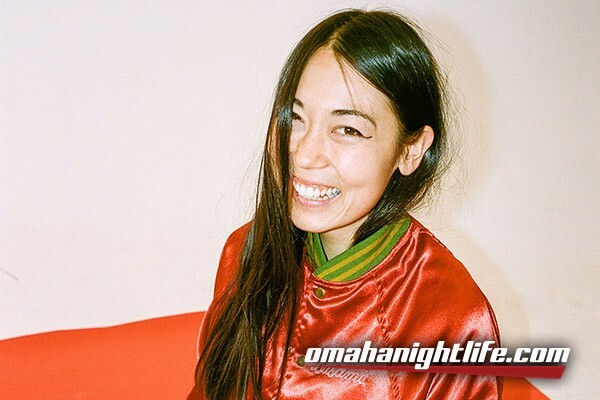 "It's a mix of a diary and a collection of letters, written but never sent, to people I've been intimately involved with in one way or another," explains Los Angeles songwriter and multi-instrumentalist Sasami Ashworth, aka SASAMI, who wrote the album's ten tautly melodic rock tracks over the course of a year on tour, playing keys and guitar with Cherry Glazerr. "Ok, maybe they're more like over-dramatic drafts of texts that you compose in the Notes section of your iPhone, but either way, they come from a place of getting something off my chest." In an Instagram post announcing the release of "Callous," a haunting ballad chronicling the disintegration of a relationship over wrenching guitar wails, she sums up the inspiration behind her engrossingly confessional debut more bluntly: "Everyone I fucked and who fucked me last year." Originating as a string of demos she recorded straight to her iPad on tour, the songs poured out of Ashworth in stream-of-consciousness fashion, tracking the thrills, disappointments, and non-starters of a year spent newly single and on the road. In many ways, though, they were the culmination of decades of hard work. After a studying piano as a child, she picked up the French horn in middle school, and has been playing music pretty much every day since-first as a long-time conservatory kid with her sights on a career as a classical French horn player, and later as an elementary school music teacher, running around a classroom, making up songs and dances, and directing rag-tag orchestras full of glockenspiels and bongos. Where studying classical music and jazz had been an exercise in creating note-perfect renditions of other people's music, teaching, quite literally, required her to improvise. "You have to juggle so many skills when you teach," she says. "You have to be a musician and a babysitter and a clown-and secretly be teaching. "If you can keep like 30 kids with tambourines entertained, [doing it for] a room full of drunk adults at a rock show is nothing." It didn't take long for Ashworth to start dipping her toe into pop music. A growing obsession with the noisy catharsis of post-punk and shoegaze and nights out with her brother Joo-Joo, a veteran of the Los Angeles indie rock scene who plays in the band Froth, led her to playing synth and guitar in the group Dirt Dress. In the past half-decade, she's worn basically every hat that a working musician can wear, scoring films and commercials, producing for and playing on other people's albums, and doing string, horn, and vocal arrangements for artists like Curtis Harding, Wild Nothing, and Vagabon. But it wasn't until March of 2017, about midway-through a two-and-a-half year stint recording and touring with Cherry Glazerr, that she felt the urge to sit down and write songs of her own. "I had just ended a year and a half relationship- a pretty serious relationship, that came right after another serious relationship," she says. "It was just like a beginning of a new life cycle in a lot of ways-the beginning of my new single life, and also constantly being on tour, and being in this band all the time. And so I felt like I needed to write. I was just super emotional." At first, she viewed writing songs mostly as an opportunity to sharpen her guitar skills. Eventually, since she was on tour most of the time, she decided to forgo rent on an apartment and use the money to pay for studio time whenever she was back in Los Angeles, figuring that she might as well learn her way around an analog studio. Though the material she was working on was deeply personal, the record that would emerge from those sessions-co-produced by Joo Joo and Studio 22's Thomas Dolas, who also engineered and mixed SASAMI-is largely the sound of Ashworth having fun in the studio with her friends. Devendra Banhart and Beach Fossils' Dustin Payseur make appearances as "male back-up vocalists," and Joo Joo-her professed "guitar hero"-and Froth bandmate Cameron Allen fill in guitar and drums, respectively. "Adult Contemporary," a spacey reverie reflecting the existential uncertainty of our current moment, features an all-star crew of badass Los Angeles women, including French singer-songwriter and actress Soko on vocals, Hand Habits' Meg Duffy on guitar, Alvvays drummer Sheridan Riley on drums, and Anna Butters on electric and standup bass. SASAMI is the sound of Ashworth reveling in the warmth and magic of analog recording- experimenting with different guitar tones and amplifier placements, embracing the imperfections that arise when you record on a 16-track and reconstruing them as strengths. Her years studying music theory and classical performance shine through in the tiny details that pepper SASAMI at every turn-from the sly bending of a guitar note on opener "I Was a Window," to the expressive pause before the instrumental breakdown on "Pacify My Heart." 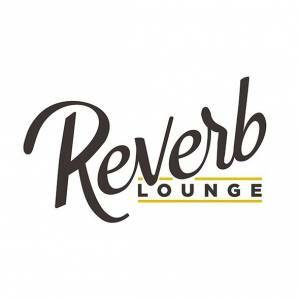 Unlike your typical four-chord rock songs, her colorful arrangements draw from a classical technique called voice leading, where the different elements of a song (from voice, to keys, to bass) form distinct, interweaving melodic lines. Just like her notoriously irreverent stage banter, Ashworth says her relationship to music, and to playing instruments, "comes from a place of love and playfulness and joy"-and it's something you can hear at every moment of SASAMI, even as the emotional journey it traces veers into more introspective territory. "Jealousy," a smoky, minor-key number with a sinister choir of chirpy back-up vocals, celebrates the freedom of living life on your own terms as a single person, even as it makes those around you uncomfortable. "Free," a softly strummed duet with Devendra Banhart, captures the pain of finally feeling ready to open up to someone new, only to discover that they aren't on the same page. "Not the Time," an open-road rocker with crunchy shoegaze guitars and sweeping synths, explores the bittersweet feeling of realizing that your love for someone is reciprocated, even if the timing and geography don't add up. "It's not the time or place for us," she sings in her wispy alto. "But you said that you would save some space for us." If SASAMI tells a story, it's one about the surprising ways that one's relationships-with lovers, with friends, with oneself-can shift in a single year. And it's one that doesn't really have a solid conclusion or takeaway-other than the realization "that your status of being in a relationship or not doesn't actually define whether you feel whole," as Sasami describes it. "It's about whether you feel grounded or not. Whether you feel at peace or not." It's inspiring to hear a woman who spent years playing other people's music finally tell her own story. And it's a feeling she says she wants to pay forward, just as her students and so many women in her life-like recent tourmates Mitski, Snail Mail, and Japanese Breakfast-have empowered her. Which is another way of saying that even in its saddest moments, SASAMI will put a little bounce in your step. Extra points if you decide to put on a clown costume and dance around in the street, as Ashworth does is the video for "Not the Time."